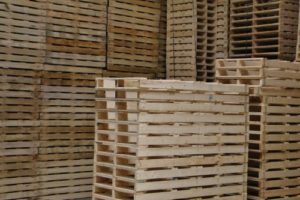 We’ve been manufacturing pallets for over 40-years. They were once made by hand in a small building next to the Boone River. 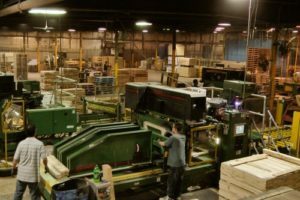 Now, our state-of-the-art machines are capable of producing thousands of pallets per day! Jig and hand build capabilities still exist however to insure that we can fill those special customer orders. Our customer base has grown from a handful of local businesses to over 300 customers across the country. With such a diverse customer base, we have employed PDS (computer pallet design software) to design the right pallet for each application. We’re well known in the industry for being competitive, meeting short lead times and for our outstanding service! 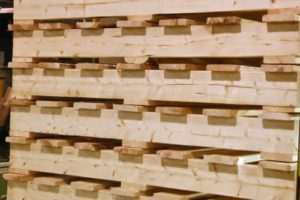 From disposable to reusable, oak to pine,we’re here for your pallet needs. We’re a member of the National Wood Pallet Container Association. Call us for all of your wood packaging needs.